Ahead of the visit of Premier League leaders Arsenal, Brendan Rodgers has decided to write his team out of the title race and he’s timed it well. 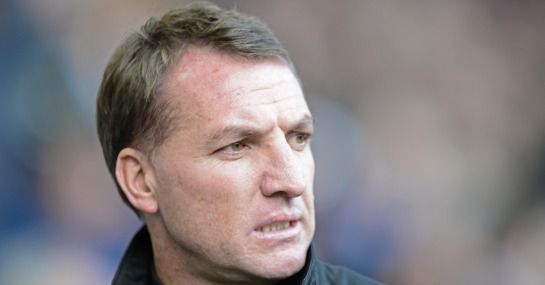 We may all have been thinking it for many nonths, but the timing of Rodgers’ ‘revelation’ that his side are not among the title challengers this season was carefully chosen. Although the Reds evolution has been rapid this season, especially at Anfield where his side are deemed the marginal favourites to beat Arsenal at 23/20, Rodgers knows his current squad are still too light. After dropping two points in calamitous fashion at West Brom, the consequences of losing to Arsenal would mean conceding an 11-point gap, a bridge too far by anyone’s standards. These simple calculations are reflected in Liverpool’s long odds of 25/1 with Ladbrokes to claim a first English title since way back in 1990. However, should they reduce the deficit to five points with a victory, the dream can be resuscitated, but crucially there will be no pressure going forward. In all likelihood Liverpool will be forced to scrabble to keep fourth rather than challenge for the title, but considering they still have Manchester City and Chelsea to come to Anfield – where they’ve only dropped four points all season – they’ll certainly have a say in where it ends up. Had Liverpool secured the signing of Yehven Konoplyanka and reduced the gap behind Arsenal to five points against the Baggies, then the situation may have been different. The impact of Rodgers’ comments falls way short of Jose Mourinho’s latest protestations, but they do take the pressure off and who knows, they may just beat Arsenal as a result.